The Hero of Time needs only his sword and shield to save Hyrule. 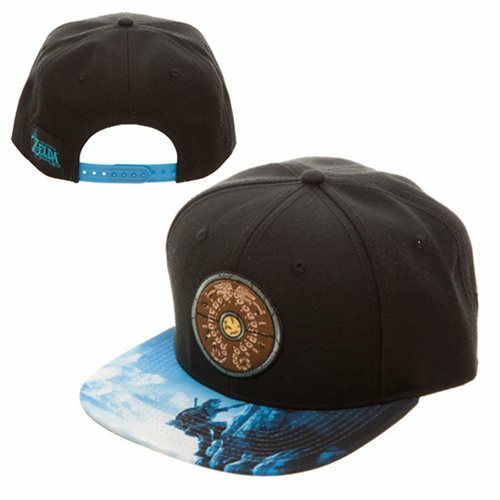 This snapback features Link's shield from The Legend of Zelda: Breath of the Wild, as well as a brim featuring artwork from the game. Made of acrylic wool , this Legend of Zelda Breath of the Wild Shield Sublimated Bill Snapback Hat is adjustable to fit most gamers. Care: Hand wash cold, lay flat to dry. Ages 14 and up.